Series of 10, each 48 x 40”. Acrylic and emulsion on canvas. 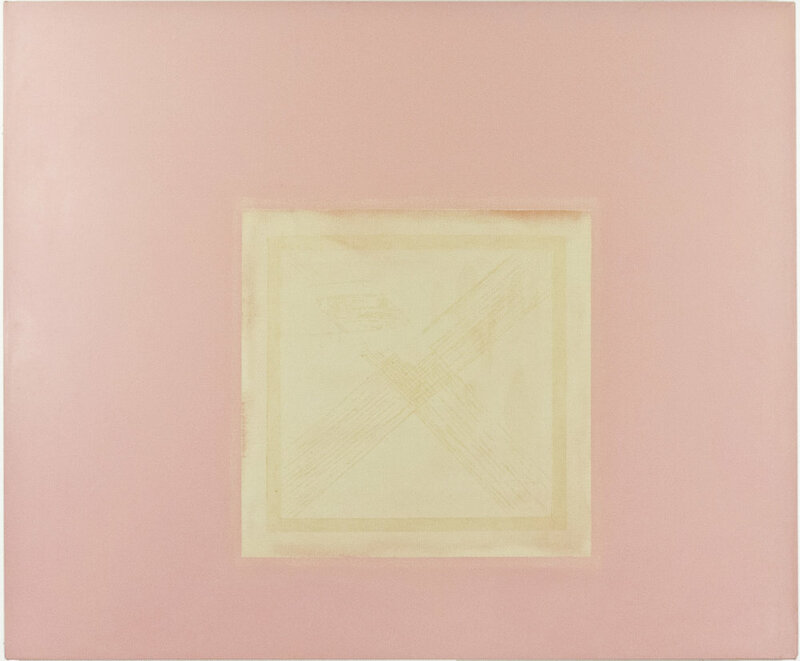 This series of flesh-colored paintings is a literal interpretation of the term ‘body of work.’ In the middle of the canvases, Henry has re-drawn, in resin, selections from his own earlier work in the Singular Paintings series. 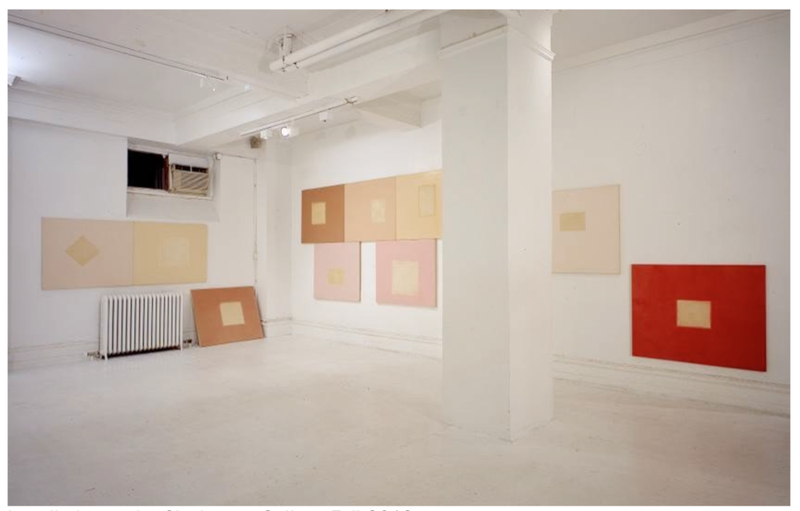 He included snapshots of the original work to be displayed on the wall in the same configuration as the paintings. This series brings the conceptual and material qualities of the work into equal consideration. The titles of each work correspond to the year in which the original work in the resin image was made.